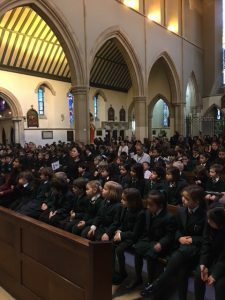 Religious Education lies at the heart of the Church’s response to the call of Christ to ‘go out into the world and teach all nations’ and covers both what is explicit and what is implicit. To provide opportunities for spiritual growth and development through participation in a variety of forms of worship and all forms of prayer – formal, informal, spontaneous, private, shared, petitionary and meditative. To foster a catechetical community involving children, staff, parents, school governors and the parish. To inspire a sense of responsibility, to witness to the Gospel in word and deed. To develop knowledge and understanding of the mystery of God and of the person of Jesus Christ as well as of the Church and the central beliefs which Catholics hold. To develop awareness and appreciation of Catholic belief and an understanding of its impact on personal and social behaviour by encouraging children to explore and reflect on the Scriptures with the teachings of the Catholic Church. To develop the ability to listen; to think critically, spiritually, ethically and theologically; to acquire knowledge and organise it effectively and to make informed judgements in the light of the Catholic Faith. To engender the Gospel values of love, peace and justice, that influence all our activities and relationships in a caring, yet challenging manner. To foster appropriate attitudes; for example, respect for truth, respects for the views of others; awareness of the spiritual, of moral responsibility, of the demands of religious commitment in everyday life, and especially the challenge of living in a multi-cultural, multi-faith society. As priests, parish assistants, governors, parents, teachers and support staff of the school, we are called to reach out and respect the school community whatever stage they are at in their journey of faith. To demonstrate visibly that St Joseph’s is a Catholic School by the evidence of sacramental objects, posters, prayer tables etc. around the school. An important aspect of Religious Education is to ensure that it permeates throughout the curriculum and all other areas of school life. St Joseph’s dedicates 10% of teaching time to the teaching of Religious Education as required by the Bishops of England and Wales. Regular inset and appropriate funding for resources, together with rigorous assessment and monitoring of the subject to ensure that R.E. has the same status as that of the other core subjects of the school’s curriculum. 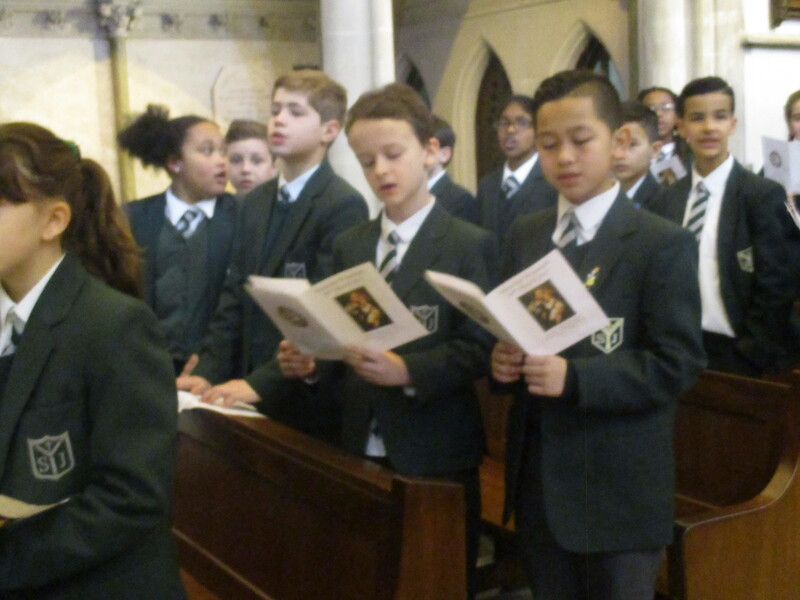 The ‘Come and See’ programme of study is used by all classes at St Joseph’s. The Levels of Attainment are used to assess children in Religious Education. 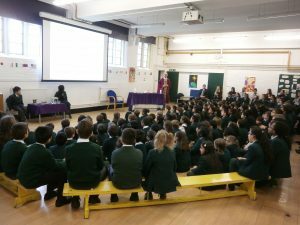 The Sacramental programmes in preparation for receiving the sacraments of Eucharist and Reconciliation are based in the children’s parishes. It is up to parents to make the necessary arrangements with this regard. The Priests from our Parish (St Mary’s, Cadogan St.) are regular visitors to the school to supplement these programmes. The outcome of Religious Education is to develop religiously literate young people who have the knowledge, understanding and skills – appropriate to their age and capacity – to think spiritually, ethically and theologically and who are aware of the demands of religious commitment of every day life. Each member of the school community has a part to play in the implementation of this policy which seeks to maintain and strengthen the ethos of St. Joseph’s as a Catholic School.